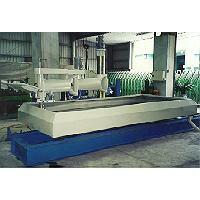 Single Arm Type Mirror Surface Polishing Machine (SAM-1) - Yang Hsiang Precision Machinery Co., Ltd. 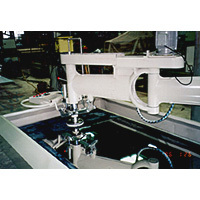 This economic type's mirror surface polishing machine. Also need to supply cutting fluid. And the operating process is simply. 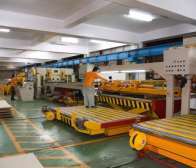 We design the table can be move longitude slowly to make the surface smooth with cylinder to add pressure on the sheet. The polishing level could be adjust. With surrounding cover to avoid the spray cutting water. Easy to change the polishing head.